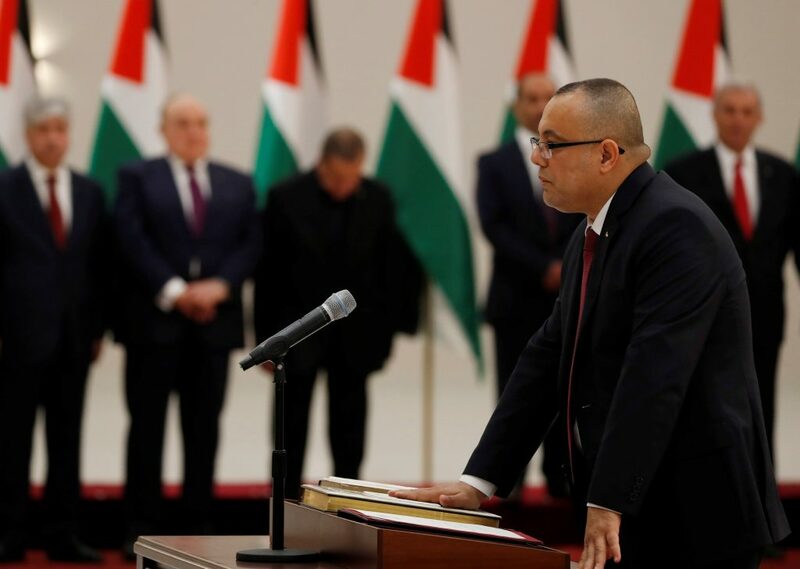 Lawyer Nael Al-Hawah noticed the omission after Palestinian Authority prime minister Mohammad Shtayyeh’s new government was sworn in on Saturday. The missing text contained a pledge to be loyal “to the people and its national heritage,” he said. “I noticed the error and I posted a status update on [social media],” he told AFP. Shtayyeh called Al-Hawah to acknowledge the error and inform him that the oath would be administered all over again on Sunday, he said. Al-Hawah said he was familiar with the vow having closely followed Palestinian Authority leadership changes and because it was part of his teaching for law trainees. He said the error could have placed the PA’s leadership legality in doubt. The new ministers took office following a change of government that several analysts said was aimed at isolating Hamas, which despite attempts at unity agreements continues to be a bitter rival of the PA.